The Helping Hands for Heritage project, which finished in July 2016, aimed to expand the potential of volunteering in the Tamar Valley, and to work towards helping to protect and care for its remarkable natural and cultural heritage. The project received an ‘Our Heritage’ grant from the Heritage Lottery Fund and further funding from Cornwall & West Devon Mining Landscape WHS, Devon County Council, Tamar Community Trust, Calstock Parish Council and Buckland Monachorum Parish Council. 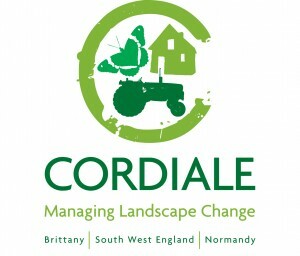 Restore orchards and market gardens to the Tamar Valley landscape by re-establishing local supply chains. Increase public understanding of landscape evolution and produce spatial plans for two parishes for the conservation of the natural and historic environment. To secure the characteristic landscape of hedges and woods by creating a viable new market for wood fuel. 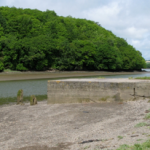 The Calstock Parish Heritage Project was initiated in 2010 to encourage the local community to understand and engage with their landscape heritage. 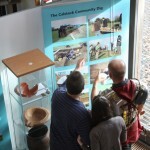 Tamar Valley AONB were successful in a bid to the Heritage Lottery Fund and received a £35,500 ‘Your Heritage’ grant. The Tamar Valley Mining Heritage Project aimed to tell the story of and celebrate the Tamar Valley’s rich mining heritage through a new network of trails and paths. The Project has provided conservation work to a large area of mining remains and important wildlife habitats. 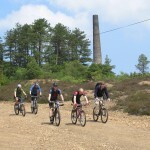 For more information click here or visit the Tamar Trails page. 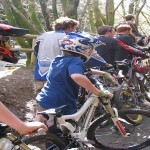 The aim of the MBDP project was to make Maddacleave woods a destination by building a Reception Centre and a fourth track, whilst broadening the demographic of riders using the facility by providing taster days to younger riders and female mountain bikers. For more info click here or visit Gawton Gravity Hub page. The wildlife value of traditional orchards has long been recognised and Tamar Valley AONB has worked with the People’s Trust for Endangered Species to carry out a comprehensive survey of all of the traditional orchards in the AONB. Over the space of 6 months 7 volunteers visited a total of 155 orchards gathering basic information. 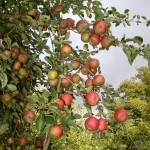 Though many orchards have gone, it is encouraging that many orchards have been replanted by enthusiastic owners. For more information click here. Our publication‘Sovereigns, Madams and Double Whites’ was the product of a market gardening research and oral history project, managed by the Tamar Valley AONB Service and delivered by consultants in the early 2000s. Through the work of our volunteers, we’ve started to think about what else we can do to raise awareness and discover more about this important subject. We’ll keep you up to date, but in the meantime read more about the history of market gardening in the Valley in a research report here (we also hope to make the database mentioned in the report publicly available). In spring 2010 a group of volunteers helped us to survey the sites of river quays, past and present. The aim of the work was to gather information on the state of the publically accessible quays on the tidal Tamar, Tavy and Lynher so that in the future we could look to support work to conserve and enhance river access. This work has been furthered through the Helping Hands for Heritage project (2016).